Fiat has launched plenty of cars in the UK to critical acclaim and strong sales, but the Sedici is not one of them. That's unfortunate, since it's actually quite an intriguing and quirky family hatchback with a lot going for it, but it's been largely ignored by the public. On the plus side, if you're looking for a used car that is criminally under-appreciated and thus more affordable than you'd imagine, then the Fiat Sedici is a good choice. 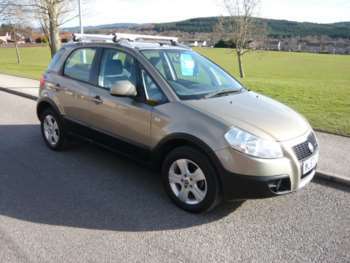 Introduced in 2006, the approved used Fiat Sedici is actually based on the platform used by the Suzuki SX4. That means it's a four wheel drive vehicle that's ruggedly built and effortlessly reliable, bearing a few reworked elements but otherwise being exactly the same as its Japanese-branded counterpart. In 2008 the Sedici's 4X4 option was joined by a two wheel drive version, which launched with a single 1.6 litre petrol engine as its power plant. If you want the 1.9 litre MultiJet engine, you'll have to plump for full 4WD. In 2009 the Fiat Sedici got a bit of a facelift, with alterations made to its external styling in order to bring it more in line with the rest of Fiat's contemporary ranges. At this point a new 2.0 litre MultiJet diesel was also introduced, while the 1.6 litre petro model got an efficiency overhaul and a power bump. 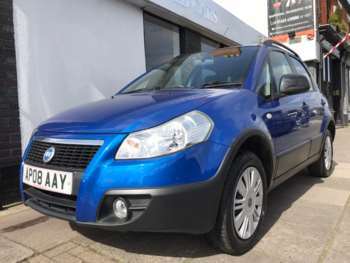 The used Fiat Sedici for sale has looked good throughout its life, so whether you go for a pre or post facelift model you won't be disappointed with the styling. On the inside things are equally positive. The driving position is nicely elevated and you can adjust the vertical height of the seat to account for your own preferences. The cabin feels light and airy thanks to the large windows and there's genuinely a good deal of space on offer for driver and passengers alike. The boot gives you 270 litres of room to play with when the rear seats are arranged normally, but you can flip them forwards to increase this to 670 litres if you need a bit more. As you'd expect for a family car, there are lots of storage compartments in the front and back, while the Sedici comes with plenty of impressive features as standard, including ABS, airbags at the front and side as well as air con and a CD audio system. If you want a bit more luxury you can choose the Elegenza trim, which comes with 16 inch alloys, climate control and even heated mirrors, amongst other nice touches. 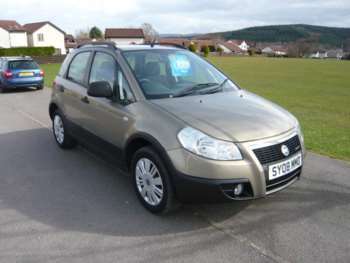 As mentioned earlier the Sedici is not that common, but as a used car it's a well priced option. 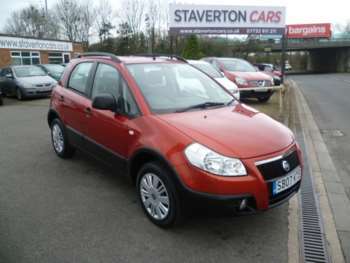 You'll pay from £3000 to £4000 for an early model 4WD version with moderately high miles and the 1.6 litre petrol engine. The diesel model is around £1000 more, but does deliver extra torque and improved fuel efficiency for the frugal driver. Because this is based on Suzuki's underpinnings, the Fiat Sedici is actually a little bit more reliable than other modern Fiats. That's not to say that Fiat's own work on this model is not impressive; the MultiJet engine in particular deserves praise. This is billed as a 4WD off-roader, so always check to see whether or not any previous owner has been foolhardy enough to take theirs away from the safety of the tarmac. Basically, ensure that the suspension and exhaust haven't been damaged. Parts for the used Fiat Sedici aren't too dear. £45 will net you a pair of rear brake pads, while filters for fuel and oil will cost £15 and £9 respectively. You might not expect the Fiat Sedici to do that well in off-road situations, but Suzuki's high tech system works impressively and gives the driver the option to switch between three settings that vary the amount of traction you have to suit the situation at hand. Both engines are decent, with the 1.6 litre petrol unit providing a 0-60mph time of 10.8 seconds, just ahead of the diesel's 11.2 second burst of speed. You'll probably want to pick the latter power plant if you can, because it's got more pulling power and gets 43mpg. Got a specific Fiat Sedici model in mind?